Baby gear can be bulky, and your typical highchair is no exception. Keep things simple with a feeding seat that offers everything most full-featured highchairs do! The First Years Deluxe Diner Reclining Seat attaches to a kitchen chair offering not only plenty of room, but a design that offers room to grow. 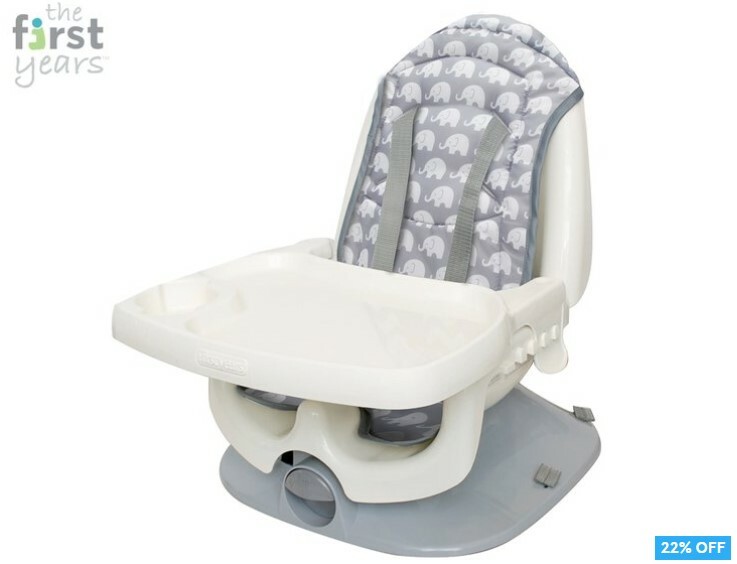 With a five-point safety harness, 5 recline positions, 2 height adjustments and 3 tray positions, this non-invasive feeding seat grows with your child and the seat back can be detached to easily convert into a big kid booster!